Tottenham will be looking to finish the season on a high note when they take on Leicester City at Wembley on Sunday afternoon. Goalkeeper: Hugo Lloris was excellent again during the 1-0 win over Newcastle in midweek so the Frenchman should keep his place between the sticks. Defence: Toby Alderweireld is pushing for a recall and Pochettino may give the Belgian international the chance to perhaps say goodbye to the fans amid speculation he’ll be leaving the club this summer. Davinson Sanchez is the man most likely to make way with Jan Vertonghen keeping his place at the back. Spurs have problems at right-back as Kieran Trippier is a major doubt with a calf injury while Serge Aurier is ruled out with a hamstring problem so Kyle Walker-Peters may get a run-out. 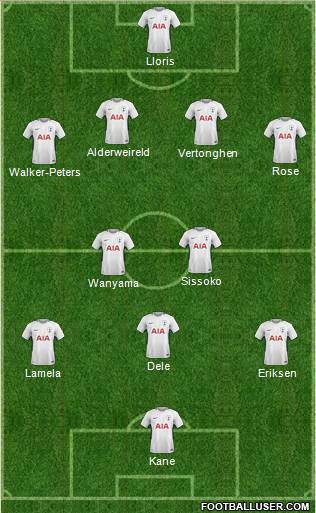 Danny Rose could come in to replace Ben Davies at left-back. 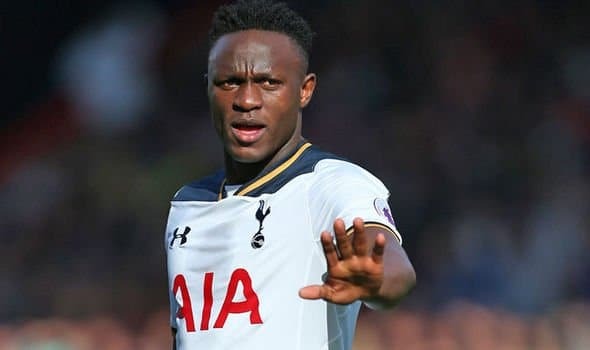 Midfield: Tottenham will hand a late fitness test to Victor Wanyama but the Kenyan international is being tipped to be passed fit to keep his place in midfield this weekend. Mousa Dembele has been ruled out with an ankle injury, Harry Winks is still out with his own ankle problem while Eric Dier is a doubt through illness so Moussa Sissoko may keep his place in the middle of the park. Attack: Harry Kane was the match winner once again in midweek with a vital goal against Newcastle so no doubt he’ll be looking to add to his goal tally this weekend and head in to the World Cup in positive form. Erik Lamela is pushing for a recall in attack so Hueng-min Son may get a rest but I expect the excellent Christian Eriksen so keep his place in front-line. Dele Alli should also retain his place in attack so the likes of Lucas Moura may have to settle for a spot on the bench against the Foxes. Most Spurs supporters I j=know, including me, want to see Lucas start.